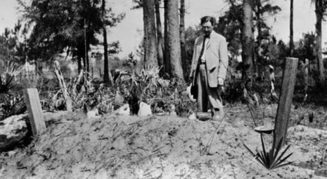 Established in 1981, the J. C. Harrington Award is named in honor of Jean Carl Harrington (1901-1998), one of the pioneer founders of historical archaeology in North America. The award, which consists of an inscribed medal, is presented for a life-time of contributions to the discipline centered on scholarship. No more than one Harrington Medal is presented each year. In January 1982, at The Society for Historical Archaeology annual conference in Philadelphia, a special silver version of the medal was presented to J. C. Harrington when the award was publicly announced. All other Harrington Medals are struck in antique bronze. 2019 Charles E. Orser, Jr. Created in 1988 and publicly announced in January 1990, this award is named in honor of Carol V. Ruppé in recognition of her long service to the society in creating and running The Society for Historical Archaeology Book Room at the annual conference. The Ruppé Award is internal to the society and honors individuals who have a record of sustained and truly outstanding service to The Society for Historical Archaeology. The award consists of an inscribed brass plaque mounted on a walnut base. Established in 2011 and first presented in 2012, the Daniel G. Roberts Award for Excellence in Public Historical Archaeology was created and endowed by the staff of John Milner Associates, Inc., to recognize and honor their colleague Daniel G. Roberts, one of the pioneers in public historical archaeology, particularly within a heritage management framework. Public archaeology entails a commitment to broad dissemination of the lessons learned from archaeology and the importance of preserving the archaeological record. The award recognizes outstanding, sustained accomplishments in public historical archaeology by individuals, educational institutions, for-profit or non-profit firms or organizations, museums, government agencies, and private sponsors. Nominations consist of an essay (up to 1,500 words) detailing the nominee’s sustained commitment to broad dissemination of the lessons learned from historical archaeology, lessons that include the importance of preserving the archaeological record. At least two examples illustrating the nominee’s accomplishments (generally at a program level) must be provided in the essay and should be accompanied by captioned photographs and links to websites, news stories, blogs, publications, and other relevant information. The journal PDFs for previous awardees (see below) provide examples of successful nominations. No letters of support are required. Contact details, including email addresses and a current telephone numbers, must be provided for the nominator and the nominee (if an organization is being nominated, provide information for a contact person). Essays should be submitted via e-mail to Paul Mullins, Chair, SHA Awards Committee, at paulmull@iupui.edu. Established in 1988 this award recognizes specific achievements of individuals and organizations that have furthered the cause of historical archaeology. Although the award is given for scholarly as well as other contributions, the honorees need not be professional archaeologists nor members of The Society for Historical Archaeology. 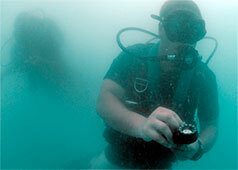 A full and varied range of contributions to the field are considered. 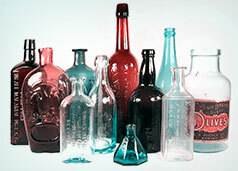 The Award of Merit is an inscribed certificate under glass, suitably framed, and normally a number of awards are given each year. Marty McCune, City of Tucson, Department of Urban Planning and Design & William H. Doelle, President, Desert Archaeology, Inc. The Deetz Award is named for James Deetz (1930-2000), whose books are classics for professional archaeologists as well as for non-specialists. Deetz’s accessible and entertaining style of writing gave his books influence beyond the discipline because they are read by a broad audience of non-specialists. The Deetz Award is intended to recognize books and monographs that are similarly well written and accessible to all potential readers. The 2019 Kathleen Kirk Gilmore Dissertation Prize will be awarded to a recent graduate whose dissertation is considered by the SHA Dissertation Prize Subcommittee to be an outstanding contribution to historical archaeology. 2012 Liza Gijanto, Change and the Era of the Atlantic Trade: Commerce and Interaction in the Niumi Commercial Center (The Gambia). 2013 Rebecca Sara Graff, The Vanishing City: Time, Tourism, and the Archaeology of Event at Chicago’s 1893 World’s Columbian Exposition. The Quebec City Award is granted to assist French-speaking students to attend the annual meeting and to promote their participation in Society activities. The cash prize is for the amount of interest accrued annually on the initial endowment, and not to exceed $750. To be considered for the prize, candidates must be a standing member of the SHA, be registered in a French-language university and preparing a thesis or a dissertation in French and they must present a substantive or theoretical paper at the annual meeting. To apply, submit a letter including a confidential letter of reference from your research director, a copy of your pre-registration at the annual meeting, a 500-word abstract of the proposed paper and a copy of your resume to the Quebec City Award Secretary by June 30. Further information is available from the Quebec City Award Secretary at the following address: William Moss, email: william.mossqc@gmail.com. 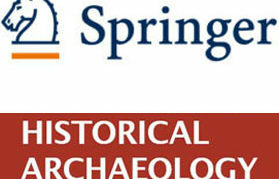 Please visit the Society for Historical Archaeology web site for full information: sha.org/about-us/awards-and-prizes. La Bourse de Québec est accordée afin de promouvoir la participation d’étudiants de langue française au colloque annuel et aux activités de la Society for Historical Archaeology. La bourse correspond au montant des intérêts accumulés sur le capital initial dans le courant de l’année, le tout n’excédant pas $750. Pour être éligible, le candidat doit être membre en règle de la SHA, être inscrit dans une université francophone et y préparer une thèse ou un mémoire en français. Enfin, il doit présenter, dans le cadre du colloque annuel de la SHA, une communication substantielle ou théorique. Pour poser votre candidature, faites parvenir une lettre au secrétaire du comité de la Bourse de Québec. Cette lettre doit être accompagnée des documents suivants : une lettre de recommandation confidentielle de votre directeur de recherche, une preuve d’inscription à l’université, une copie de votre inscription préliminaire au colloque annuel, un résumé de votre communication (maximum de 500 mots) et une copie de votre curriculum vitae. Pour de plus amples renseignements, veuillez contacter le secrétaire du comité de la Bourse de Québec à l’adresse suivante : William Moss, courriel: william.mossqc@gmail.com. De plus amples renseignements sont disponibles sur la page web de la Society for Historical Archaeology : sha.org/about-us/awards-and-prizes. The Society for Historical Archaeology invites students to submit applications for the Jelks Student Travel Awards. Two $500 awards to defray travel costs will be presented to students who are presenting a paper or poster or participating in a symposium at the SHA 2019 Conference on Historical and Underwater Archaeology in Saint Charles, Missouri, January 9‒12, 2019. Applicants may be undergraduate or graduate students, and they must be currently enrolled in a degree-granting program, be a member of SHA at the time of submission, and be presenting at the 2019 conference. All applicants must be registered for the 2019 annual meeting by November 1, 2018, to be considered for an award. In addition to increasing student involvement at the meetings, the goals of this travel award are to encourage students to conduct research and communicate the results beginning early in their careers. To apply, send (1) your curriculum vitae (your advisor’s name should be indicated on the first page, and your contact information must be provided); (2) a letter of interest (2 pages, single spaced); and (3) the title and abstract for your paper or poster as you originally submitted it. All files should be sent as PDFs. State how your participation in the SHA conference will advance your career and research. Explain how your paper or poster will potentially benefit those who attend your session. Please note: individuals can apply for both the Tubman and Jelks awards, but may only receive one award in the same year. Deadline for submissions: October 14, 2018. Submit your application materials and any questions you have about the competition to Dr. Barbara Heath at bheath2@utk.edu. The recipients will be notified prior to the conference, and the awards will be announced and presented at the annual business meeting at the 2019 SHA Conference in Saint Charles, Missouri. The 18th Society for Historical Archaeology Student Paper Prize will be awarded at the 52nd Conference on Historical and Underwater Archaeology, to be held January 9‒12, 2019, in St. Charles, Missouri. The prize will be awarded to a student, or students, whose written version of a conference paper is judged superior in the areas of originality, research merit, clarity of presentation, professionalism, and of potential relevance to a considerable segment of the archaeological community. One prize will be awarded. The winning author(s) will receive a book prize consisting of titles donated by the many presses and organizations exhibiting in the SHA Conference Book Room (totaling almost $1,500 worth of items in 2018) and a letter of recognition from the SHA President. 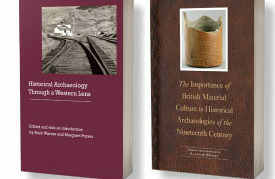 The winning author(s) will be encouraged to submit the paper to be reviewed for possible publication in Historical Archaeology. The results of the competition will be communicated to the entrants prior to the meeting, and the winner will be announced at the annual business meeting. Entrants must be student members of the SHA prior to submission of papers and be registered for the 2019 annual meeting by November 1, 2018. The paper must be prepared according to current Historical Archaeology guidelines (see the SHA website for these details) and be submitted by November 15, 2018. Submissions must be made electronically (MS Word or PDF) to Alicia Caporaso, chair of the Student Paper Prize Subcommittee at SHA.2019.StudentPaperPrize@gmail.com. If entrants have a problem with an electronic submission, please contact Alicia Caporaso at the email address above. The paper must be presented by one of the student authors at the annual meeting. There may be a maximum of three authors on the paper. All of the authors must be students and members of SHA at the time of submission. In the event of a winning co‐authored paper, the authors will split the available book prizes. Papers are to be limited to no more than 10 pages of double-spaced text using standard fonts and margins. The intent is that the length of the paper submitted must be in line with what can reasonably be presented in 15 minutes. Papers that are deemed by the committee to be impossible to deliver in a standard 15-minute format will be eliminated from the competition. Poster submissions are not eligible. Any additional questions may be addressed to Alicia Caporaso via email (SHA.2019.StudentPaperPrize@gmail.com). The Society for Historical Archaeology’s Gender and Minority Affairs Committee (GMAC) is sponsoring two travel awards to students who are presenting a paper or poster at the 2019 annual meeting in New Orleans, Louisiana. Each award provides $500 to defray travel costs. Applicants may be undergraduate or graduate students, and they must be currently enrolled in a degree-granting program, be a member of SHA at the time of application and be presenting a paper or poster at the conference. All applicants must be registered for the 2019 annual meeting by November 1, 2018, to be considered for an award. The goals of this travel award are to increase diversity and to encourage student involvement at the meetings. Diversity is inclusive of race, ethnicity, gender, sexual orientation, abilities, and socioeconomic background. Applications are encouraged from diverse populations. Explain how you will increase diversity in historical archaeology, and why increasing diversity within the discipline and SHA is important. Following the conference, recipients are required to submit a one-page report to the GMAC Chair on their conference experience and their thoughts on diversifying archaeology that will be posted to the SHA Blog. Deadline for submissions: October 15, 2018. Submit your application materials to Dr. Liza Gijanto at lgijanto@smcm.edu. The recipients will be notified prior to the conference, and the recipients of the awards will be announced and presented at the 2019 SHA Conference in St. Charles, Missouri. The Mark E. Mack Community Engagement Award honors those individual researchers or research project teams that exhibit outstanding best practices in community collaboration, engagement, and outreach in their historical archaeology and heritage preservation work. Mack awardees demonstrate a commitment to the representation of and open dialogue with stakeholders in archaeological research, especially descendent, local, and minority communities. The award commemorates the life and career of Mark E. Mack and encourages diversity in the SHA and our profession by cultivating relationships between archaeologists and stakeholder communities. Mack was well known for his work on the New York African Burial Ground project. He was a professor of anthropology at Howard University and curator of the university’s W. Montague Cobb Research Laboratory. Throughout his career, he exemplified many of the qualities we value as best practices in community, stakeholder collaboration. The nominee(s) must be a current SHA member at the time the application is submitted. The nominee(s) may be an individual, principal investigator, or a project team engaged in an historical archaeology or heritage preservation project (if a project team, only one team member needs to be an SHA member). Nominations may be made by SHA members or by nonmembers, by self-nomination, or by fellow archaeologists, community members, or fellow researchers or collaborators. Successful applicants should exhibit outstanding commitment to community outreach, collaboration, or engagement. Projects may include both academic as well as cultural resource management projects. Submit a complete application form (below), including a brief essay (1,000 words maximum), which has two parts. Part 1 with a brief description (approximately 500 words) that details how the nominee or project team exhibits a commitment to community outreach, collaboration, and/or engagement beyond the required scope of involvement. Provide at least one picture that illustrates your involvement with the community(ies) and stakeholders and corresponding captions for the GMAC webpage or the SHA blog. The applicant is responsible for securing the proper permissions from each person identified in digital submissions. The SHA Gender and Minority Affairs Committee (GMAC) of the Society for Historical Archaeology (SHA) invites all SHA members and conference attendees to submit a nomination for the prestigious Diversity Field School Award competition. As the field of historical archaeology continues to expand, it is becoming increasingly important to develop archaeological practices that foster diversity in research objectives, perspectives, and participation. 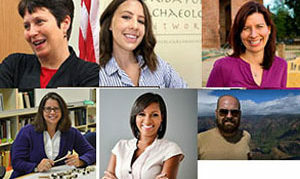 GMAC recognizes that diversity is multi-dimensional and thus “inclusive of race, ethnicity, gender, sexual orientation, abilities, and socio-economic background.” In an effort to recognize those who have shown a commitment to diversity in historical archaeology, the Diversity Field School Award recognizes field schools that demonstrate diversity in the broadest sense of the term. The submission requirements are outlined below, and the deadline for submission is November 1, 2018. All entries and inquiries should be submitted electronically to GMAC Chair: Lewis Jones lecjones80@sbcglobal.net. Awardees will be selected by a panel of GMAC members, announced at the 52nd Conference on Historical and Underwater Archaeology, January 9‒12, 2019, in St. Charles, Missouri, and presented with a certificate. First, second, and third place winners will be chosen. First place winners will be featured on the GMAC webpage of the SHA website, and there will be an opportunity to post visual materials such as photo(s) or a link to a short video (your video must be hosted on a different platform such as YouTube or Vimeo), a description of the field school, and any registration materials. In addition, publishers that exhibit books at the SHA/ACUA annual conference provide a selection of books to help recognize the winner of the competition. The entrant must be a current SHA member and 2019conference participant who is registered for the conference at the time the application is submitted. The field school must have been conducted within the period between January 2017 and January 2019. A complete application package that includes: (1) the complete contact information for the applicants (i.e., name, email address, affiliation, address, and phone number, (2) an essay (500 words) that details how the field school contributes to diversity in the scholarship or tangible products of historical archaeology, (3) verification that the applicant (e.g., principal investigators, directors, managers, students, or any other SHA who has recently run a field school) is a member of SHA and registered for the 2018 conference, and (4) three pictures, a link to a short video clip, digital poster, and/or any other information or visual media that may be used by the SHA and GMAC to promote the competition. The essay should include a brief summary of the field school, the research objectives or main questions, and the scope of the field school (i.e., the size of the field school, the duration of the field school, and a typical schedule). It should clearly demonstrate how the field school participants and the research objectives represent diversity. Please submit one to three high-resolution (as defined by the SHA style guide) digital photos and/or visual media (such as one short 3-minute clip). Each submission should include a title and any necessary captions and should represent field school diversity according to the definition of diversity noted above. The applicant is also responsible for securing the proper permissions from each person identified in digital submissions. Please submit no more than three photos and/or a link to one video. The image should be in its original form and not digitally altered. By submitting a photo, you give the SHA permission to reproduce any entry for promotional purposes only. No reproduction fee will be paid. All permissions must be submitted along with the application (see paragraph above). The composition and quality of the media materials (e.g., visual materials, pamphlets, and/or any content submitted for the SHA website or GMAC webpage), and how well they represent the diversity of the field school or the potential of the field school to increase diversity. The commitment to diversity as expressed through the narrative essay. The potential of the field school to inspire others to develop similar programs or to otherwise increase diversity in historical archaeology. The Advisory Council on Underwater Archaeology is pleased to announce the 2020 ACUA George Fischer Student Travel Award. This award of $1,000.00 (USD) will be offered to help fund travel costs for the upcoming 2020 SHA Conference in Boston, MA, USA, and will be granted to an international student presenting a paper on an underwater or maritime archaeology topic at this Conference. Conference abstracts must be submitted directly to the Conference Organizers as outlined in the Call for Papers. Please refer to https://sha.org/conferences/ for complete details on abstract submission and deadlines. To be eligible for consideration, students applying for this award must currently be enrolled, and in good academic standing, in a graduate degree program (includes full-time, part-time, or thesis/dissertation hours only). International students are considered to be those students residing or studying in a country other than the country where the conference is being held. All Award application materials must be sent to the ACUA at info@acuaonline.org by October 1, 2019. The Institute for Field Research is offering two $500 awards to undergraduate students to attend the Society for Historical Archaeology’s annual conference. Students are not required to present a paper or poster, but they should be members of the SHA and register for the conference by the time of the conference. The winners will participate in a dinner with members of the Institute for Field Research board. To be considered, students should submit a brief statement of a page or less that outlines their interest in historical archaeology and indicates, why they would like to attend the conference, and what they see as the value of participation in the conference. The statements will be evaluated by an SHA Undergraduate Conference Travel Award panel constituted by the President.